After purchasing the standing wood from the landowners, the walnut trees are uprooted by our specialised teams. 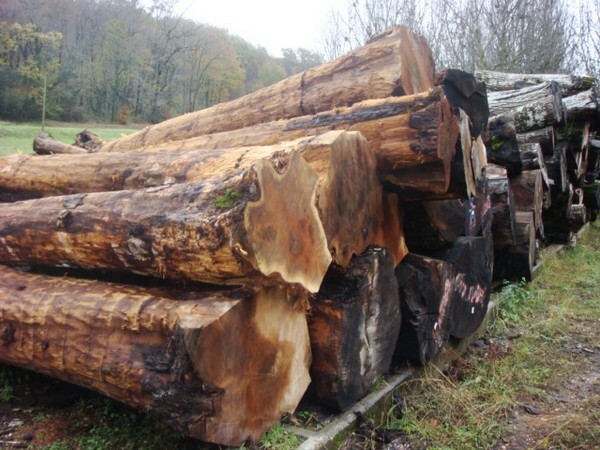 The trunks are transported with their stumps intact to our sawmill where we cut them to order. It is often in the foot or “back end” of walnut trunk where we find the most beautiful grains (burr and figured walnut). Then the trunks are mechanically stripped of their bark, mainly to facilitate easier sawing and to eliminate parasites. Each walnut trunk will be sawed according to its length, diametre and regularity. We are craftsmen who maximise and optimise the products from each tree. Each trunk, each plank, each sawed block will be exploited to the maximum depending on its qualities. 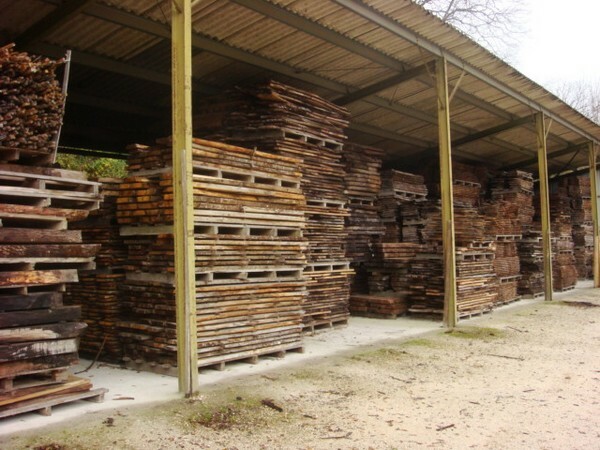 All the walnut which arrives and is transformed at our sawmill is conditioned in a water vapour laden atmosphere (to remove the sap and to eradicate the parasites) and is treated to repel parasites.After this operation the wood is billeted and stacked in a warehouse according to quality, the boards being separated by batons to allow natural air drying.